When you need answers or healing from within, rely on Bianca's Outer Banks psychic readings. 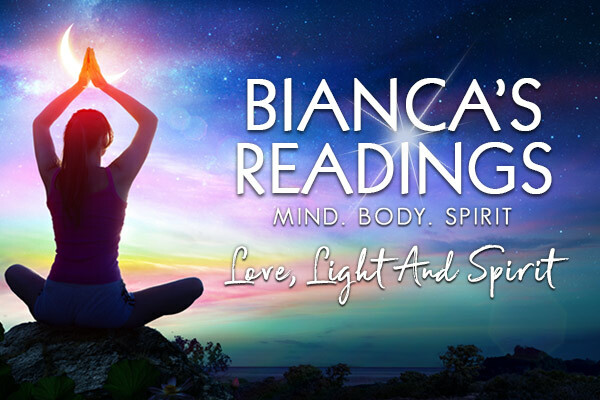 Bianca is a trusted psychic and tarot card reader, spiritual life coach, and holistic practitioner whose God-given gifts of clairvoyance and clairaudience give her a unique ability to bond with her clients. Through the sound of your voice and a birth date, Bianca is genuinely able to get to know you on every level, and offer a wide variety of insightful services, such as astrology, color therapy and feng shui, plus traditional psychic, tarot card and tea leaf readings. Bianca has been helping people for more than 30 years. Since every reading is different based on the individual person and their situation, she can also use a combination of approaches. Of course, all readings are private and confidential. Call to schedule an appointment at either Bianca's downtown Manteo or Kill Devil Hills locations or to arrange a phone consultation. Bianca is also available for small group functions.